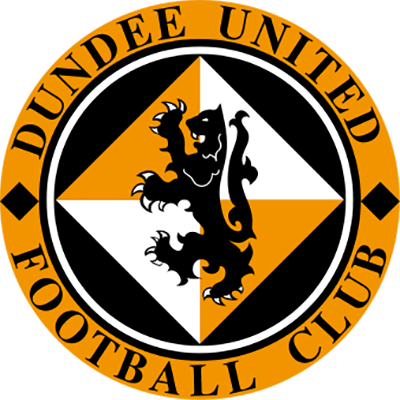 In front of a packed Tannadice, United took the game to the Finnish side, who in turn seemed eager to take every opportunity to hit the home side on the break. Collin Samuel started wide on the right and he showed early promise when he beat his marker and sent a cross flashing across goal. United continued to have the upper hand in the early stages and Robson sent a header wide after a great cross from Wilson. Samuel tried his luck from distance but his shot was rather sliced wide. 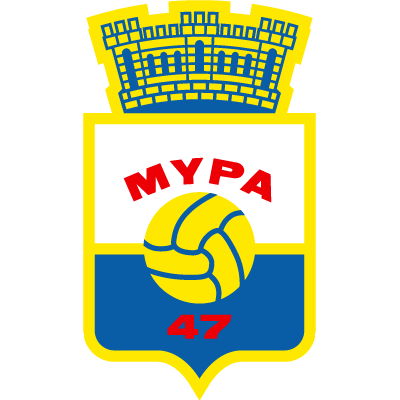 MyPa continued to cause problems with their quick and very direct counter attacking play. United finally broke the deadlock when Wilson’s free kick was cleared to the feet of Mark Kerr who blasted the ball into the net from 20 yards out after a poor headed clearance. Barry Robson headed the ball into the net when he met a Wilson cross at the back post but the Spanish referee saw an infringement as he beat his marker in the air. Great midfield play by Kerr saw Miller laying the ball into the path of Robson on the left. The referee played advantage as the United striker was again clattered by Miranda and Robson’s cross was flicked on by McIntyre and blasted home by Collin Samuel. Half an hour gone and United were well in control and deservedly ahead. With United in control well into the second half and commanding a 2-0 lead, the took a bizarre twist with 15 minutes left. A cross from the left was backheeled goalwards by Taipale, Stillie saved well and the ball was cleared for a corner but for some reason the Spanish referee seemed to see a foul by Duff on Adriano. No appeals were made and Duff was booked for his protest and the Brazilian striker Adriano beat Stillie to his right from the penalty spot. 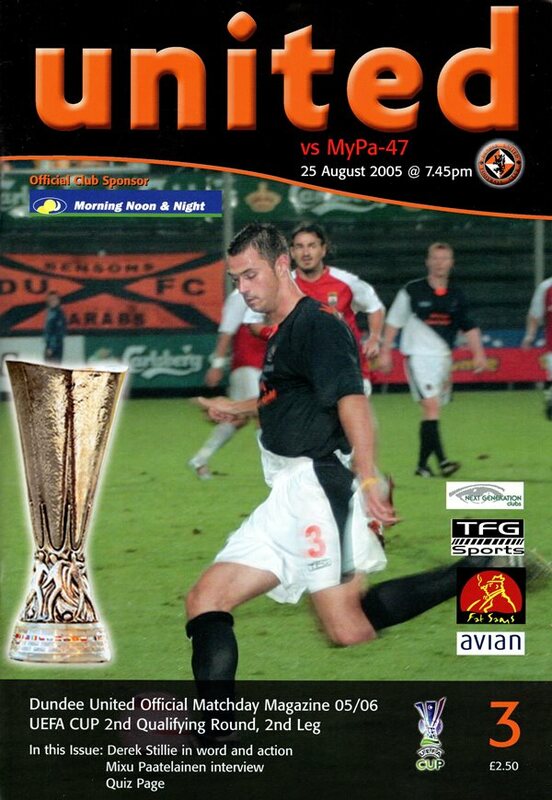 Crawford replaced Samuel as United boss Gordon Chisholm tried to give his side fresh impetus but disaster was only 6 minutes off as Adriano scored again – despite looking well offside – to level the match and put his side in the lead on away goals. The crowd was shell-shocked and United tried everything to regain their lead but to no avail. Barry Robson had a shot saved by Korhonen and Paul Ritchie shot over the bar with the goal at his mercy.